One of the mainstays of the first three X-Men movies was Anna Pacquin in the supporting role of Rogue, the mutant who can draw in the lifeforce of any person who comes into physical contact with her. 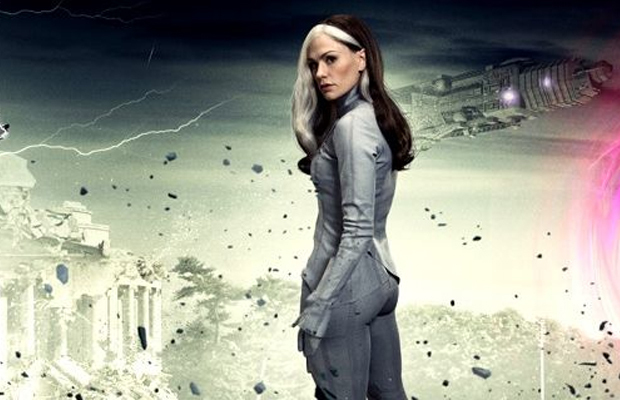 Fans have been disappointed with the cinematic adaptation of the character, because in the X-Men comics her character is more of a powerhouse. Also, Rogue has something of a romantic history with Remy Lebeau/Gambit in the comics as well, so it isn’t that much of a stretch to potentially connect Rogue and Gambit in the upcoming Gambit movie. Unfortunately, it is that much of a stretch because Anna Pacquin flat out shot down the notion that she will reprise her X-Men character in the Channing Tatum-led feature. Fox had the chance to right some of those wrongs by making Rogue a main character in the Gambit movie and bringing one of the most popular superhero love stories to the screen while they were at it, but if the following Tweet from the former True Blood actress is anything to go by, that’s not gonna happen. It doesn’t rule out the possibility that Rogue could be featured in the spinoff, but Pacquin won’t be playing the character; Gambit was recast, so it shouldn’t be much of a stretch to imagine Rogue being recast. Also Gambit already has a love-interest in the film already so maybe there may not be room for the character.